As we near the final stretch of the NBA playoffs, we have an apt analogy for a discussion of the “triple threat” facing today’s employers. In basketball, defenders must be prepared for an offensive player in the triple threat position to pass, dribble, or shoot. In today’s employment setting, companies are faced with the triple threat of regulation, legislation, and litigation. 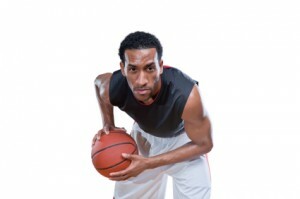 Each presenting a serious threat, employers, like defenders on the basketball court, must practice fundamental defense to reduce or remove the threats. Taking away the dribble, blocking the shot, or cutting off the pass are akin to practicing solid fundamentals in the recruitment, selection, and retention of your employees. Regulation, Legislation, and Litigation – oh my! The Equal Employment Opportunity Commission (EEOC) is responsible for enforcing federal laws that protect against job discrimination and the Commission has taken a heightened interest in employers’ use of criminal records. Along these lines, the Commission recently released its highly-anticipated updated Enforcement Guidance on the Consideration of Arrest and Conviction Records in Employment Decisions Under Title VII of the Civil Rights Act of 1964. The Guidance sends a clear warning to employers to closely examine the potential disparate treatment or disparate impact caused by the use of criminal records for employment-related decisions. The EEOC has also taken an interest and increased its enforcement efforts around the use of employment credit reports. Like the EEOC, the Federal Trade Commission (FTC) is an enforcement body, with partial responsibility for enforcing and interpreting the Fair Credit Reporting Act (FCRA). The FCRA was enacted in part to prevent the misuse of sensitive consumer information and improve the accuracy and integrity of consumer reports. As such, FCRA violations by FTC-regulated entities are considered to be unfair or deceptive practices. When an employer obtains a background check from a Consumer Reporting Agency (background screening company, for example) there are certain obligations that must be fulfilled related to consumer/applicant consent, providing copies of reports and summary of rights, and appropriate use of the report. Employment credit reports and “mobile app” background checks have recently come under fire. State and federal regulatory and legislative changes to an employer’s legal use of credit report, criminal record, and social media background checks present another threat to your background screening program. Several states have enacted laws restricting the discretion that employers have in using credit reports for employment decisions, limiting when an employer can lawfully use credit reports and imposing additional notice and disclosure obligations on employers who do intend to use them. Likewise, states and federal agencies are imposing additional restrictions on the use of criminal records and social media background checks. We recently reported on the use of social media for employment screening pointing out the dangers of using sites like Facebook and LinkedIn for screening purposes. Private litigation and class action lawsuits being brought against employers relating to their employment background screening practices are the third prong in the triple threat facing employers today. Consumers and attorneys alike are looking more closely, especially in light of increased legislative attention, at companies’ employment screening practices. Suits against employers and CRAs alike are cropping up. For example, one of the nation’s largest banks recently faced a class action lawsuit alleging “unauthorized and improper use of consumer reports” for employment screening purposes. How to Defend Against the Triple Threat? The two best ways we know of to defend or protect your organization against the triple threat to your background screening program may appear a bit self-serving but are nonetheless true. 1. 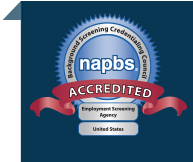 Hire a reputable background screening company. A professional and reputable background screening company might cost a bit more but you’ll benefit greatly from the wisdom and best practices followed by a company that has your best interests in mind. A professional employment screening company will be trained, experienced, and qualified to distinguish between things that are discernible, reportable, and fair to consider in the hiring process. Plus, your screening partner will be able to help your organization create a balanced, comprehensive, and compliant approach to employee background checks. 2. Seek advice from a qualified employment attorney. Nothing can replace the value of having a qualified attorney to review your employment and screening practices with an eye toward legal risk mitigation. For more details on these Triple Threats we invite you to join an upcoming webinar series hosted by Vince Pascarella, Esq., SPHR, FCRA, Vice President, Proforma Screening Solutions. Vince will discuss the triple threat of EEOC and FTC regulation, state and federal legislation, and private party litigation in the context of corporate employment background screening programs.